A few weeks ago my hubby and I visited Washington, DC to get away and enjoy each others company. Because we really just wanted to relax and not do a lot of sightseeing we stayed close to the hotel. We also took most of our meals at the hotel. Fortunately, the main restaurant served some delicious food and gave me a few ideas for new recipes. One night I chose to have grilled salmon (my favorite fish) with a side of black eyed peas and Israeli couscous. I was interested in tasting the Israeli couscous because I had just purchased a box of it from Trader Joe’s and I wasn’t sure of how to prepare it. Plus, I liked the look of the box. I sometimes chose new foods to try based on how they look. I think it is a true statement that we eat with our eyes and presentation is important when serving a meal. 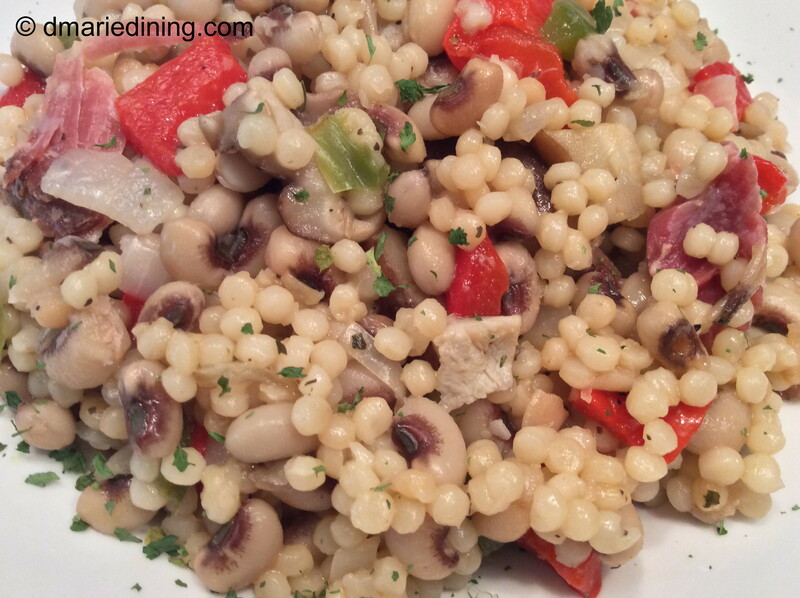 The black eyed peas and Israeli couscous was absolutely wonderful. It was full of flavor and I liked the texture of the pearl sized couscous. 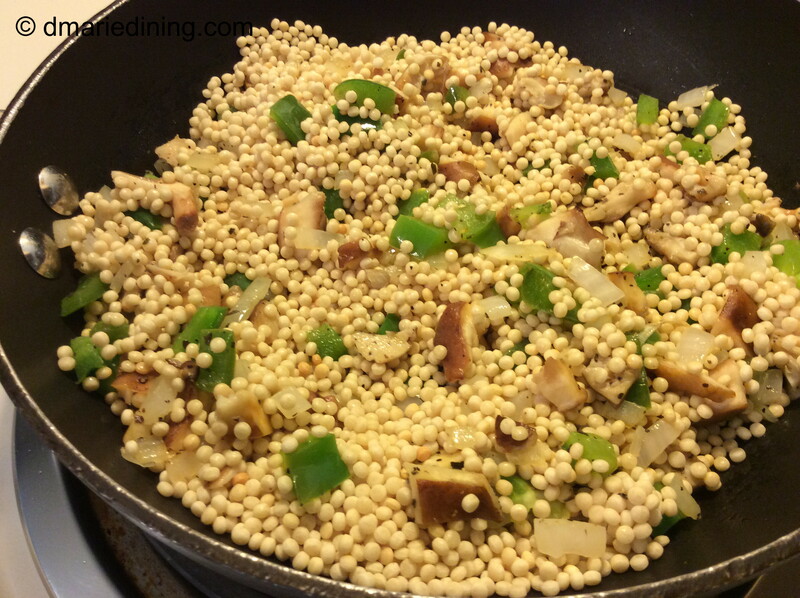 Israeli couscous is larger in size than regular couscous and resembles tapioca pearls. The side dish also included lots of other vegetables like zucchini, corn, onions and mushrooms. As soon as I tasted the black eyed peas and couscous I knew I had found a new recipe to try using my box of Israeli couscous. 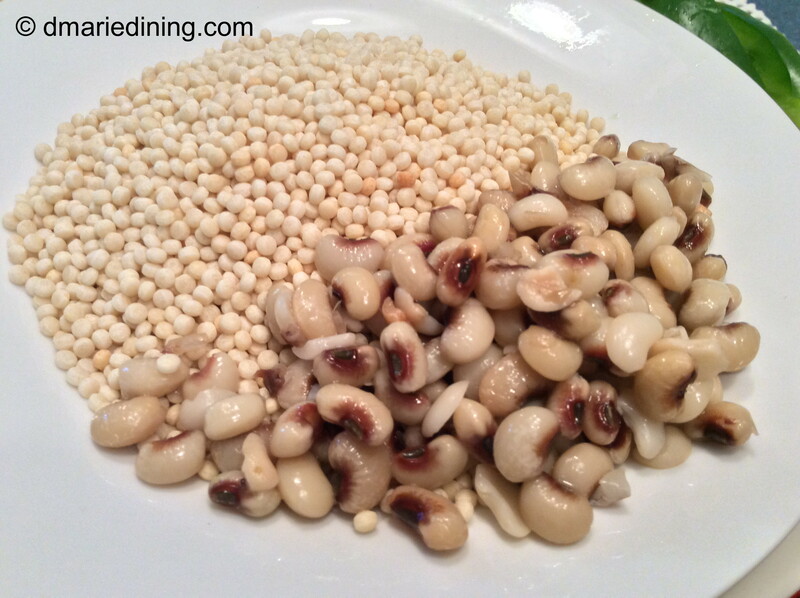 Although I truly enjoyed the hotel’s version, I decided to put my own twist to the dish and used a few different ingredients that complimented the black eyed peas and couscous. 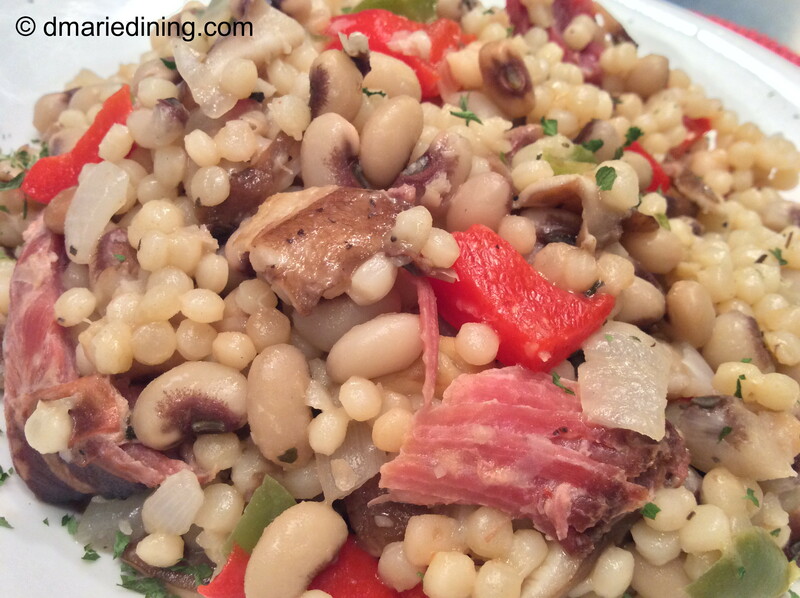 Black eyed peas, Israeli couscous, roasted red peppers and mushrooms. Yummy! Once you have a bite you will be making this side dish over and over again. If using smoked turkey in the dish, cook turkey in 6 cups of water until until meat is tender. If you are comfortable using a pressure cooker, it will speed up the process. Strain and reserve broth to use with black eyed peas in lieu of chicken broth. Slightly shred turkey. Heat olive oil in a medium sized frying pan over medium high heat then add mushrooms, green peppers and roasted red peppers. Sprinkle with a little salt and cayenne pepper. Saute until mushrooms are browned and green peppers are soft. Place black eyed peas in a large pot with 2 cups chicken broth or reserved smoked turkey broth. Add onions and remaining seasonings. Cook black eyed peas for 20 – 25 minutes until soft. Drain black eyed peas. 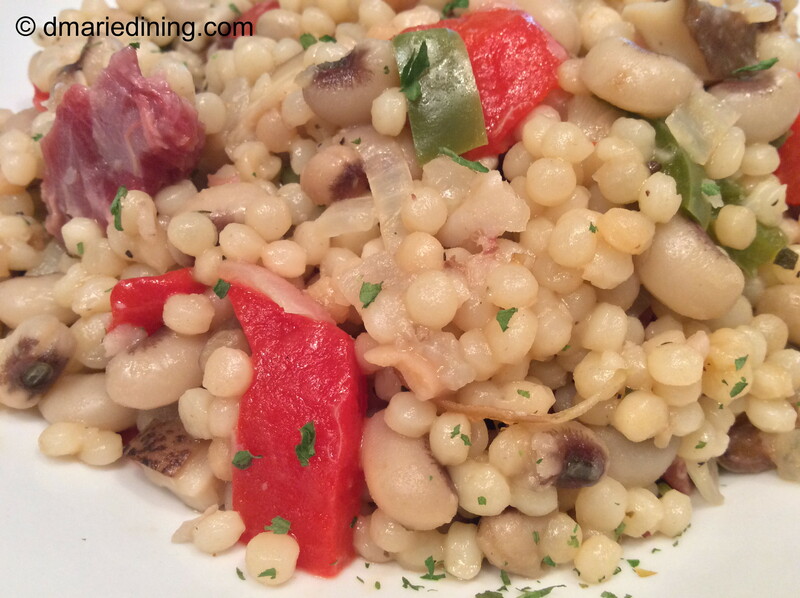 In a large bowl gently mix couscous, veggies and black eyed peas. Add a little broth to moisten if necessary.